So you want to write a book? Maybe you’ve already written one. If so, I’d love to trade notes! If you are toying with the idea of writing your first book––be it a novel, cookbook, memoir, book of poetry or dummy guide–be prepared to have your cage rattled and buckshots pummelled across your backside; in short, be prepared to bleed. At least that’s been my experience with self-publishing. But I’ve put the past behind, now that I’ve been invited to join a remarkable team. 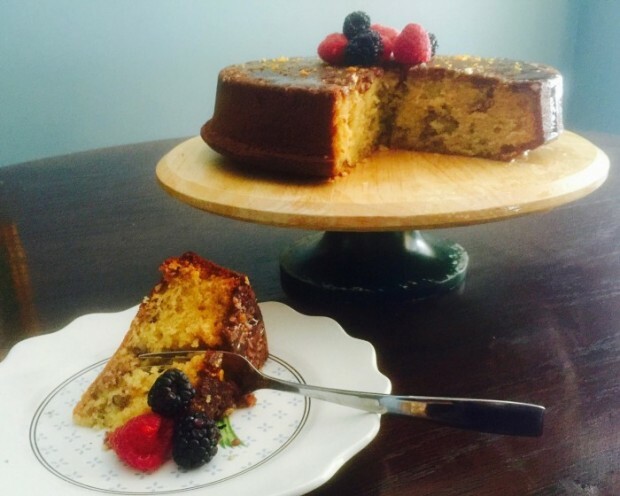 So what does writing a book have to do with cake? The Promise Kitchen is well into the works, the Lake Union Publishing group transforming my first novel, “Simmer and Smoke”, into something, well, something that I’m extremely excited about. My editor, part of an amazing creative team, alerted me that one vital ingredient is missing––a recipe for Squash Blossom Honey Cake. It’s the celebratory cake that one of my favorite characters, Tracy, created and that all of the cast enjoy during the tale’s finale. I was requested to come up with one to conclude the book. Of course it’s important to the story, so why didn’t I include the recipe in my original manuscript? Ummm…maybe it’s because that, unlike the other recipes included, I’ve never actually made a Squash Blossom Honey Cake. I’ve made decent enough honey cakes, but I’d imagined Tracy making the recipe, and I could never live up to Tracy’s high standards. 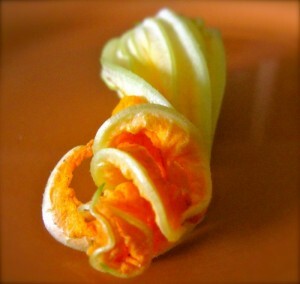 As well, Squash Blossom Honey is another product of my insanity, er, imagination. Happily, the fourth cake was the charm–Tah-Dah! At last I have a cake of which Tracy would approve. The cornmeal does not overwhelm; the cake bursts with moist orangy, rich flavors; and the chopped pecans give it that special something-something that was lacking in my previous attempts. Ingredient Notes: I did mention that Squash Blossom Honey is not available for purchase (as far as I know) on this planet, right? So, until I dedicate a portion of my backyard to squash blossoms and bee hives, I substituted another honey that is rich, sweet, yet not cloyingly so, and is local to my area. I’m sure that using such a fine honey made a difference in the cake. All honeys are not equal, so I would encourage you to use something local to your region that you enjoy. 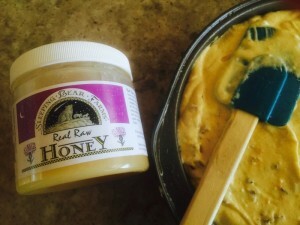 You will need about 1 1/2 pounds of honey for the cake and the glaze. For olive oils, I used a decent, reasonably flavorful extra virgin. I wouldn’t waste my money on one of the expensive Mazzaratti oils that one could purchase. I liked that my oil lended flavor and personality but didn’t overwhelm. Baking Notes: I used the convection mode set at 325 degrees in my oven. The cake cooked to perfection in 58 minutes, and the fan didn’t blow the batter around. Note that convection modes have varying results that could influence baking times . As always, I am happy to answer questions about my experiences with anything relating to bringing your own book ideas to life. Preheat oven to 325 degrees (see recipe notes above) and adjust the rack to center of oven. Generously grease a 9-inch round cake pan with olive oil. Sprinkle 3/4 cup of the chopped pecans in the bottom of the pan, reserving 1/4 cup for the batter. In a medium-sized bowl, whisk together the cornmeal, flour, baking soda and salt. Set aside. In a large standing mixing bowl, mix together the 1/2 cup olive oil, orange zest, eggs, butter and honey until well combined. Mix in the reserved flour mixture, scraping the sides of the bowl to insure dry ingredients are well incorporated into the wet. Mix in the yogurt and remaining walnuts. Pour the batter over the walnuts in the prepared pan. Bake for 50-60 minutes or until a toothpick inserted into the center of the cake comes out clean. While cake is baking, make the honey glaze by combining honey, water and orange zest strip in a saucepan. Stir and simmer until reduced and slightly thickened, about 20-25 minutes. Remove from heat and stir in Grand Marnier. Let cool slightly before glazing cake. Remove cake from oven and let cool in pan 15 minutes. Invert pan onto rack and cool an additional 15 minutes, and then place on a serving platter. Drizzle honey glaze over cake and garnish, if desired, before slicing and serving. Finished the Promise Kitchen and am disappointed to learn now that squash blossom honey is not available anywhere. I really liked how you described it, as I usually dislike honey as it way too sweet for me. But I did enjoy the book very much! Thanks so much, Elizabeth! I’m delighted that you enjoyed the book. If there’s a Farmers Market in your area, they may have local honeys, which they let you taste. I’m afraid that Squash Blossom honey is not yet available. But, who knows? Maybe one day someone will make it. Maybe me!